We have repair kits for all UK up and over garage doors! 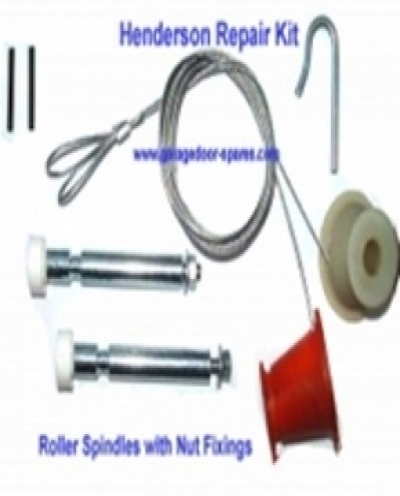 When replacing garage door cables, please also look at the condition of the roller spindles. If these show any signs of wear (ie, if the rollers are sliding up and down and not rolling) now is the best time to also replace them. By replacing both the cables and roller spindles will make sure your garage door works like new! Example: Henderson Merlin Repair Kit Pictured Below. save money when buying both items! Please select the manufacturer of your Garage Door from the drop down box below..